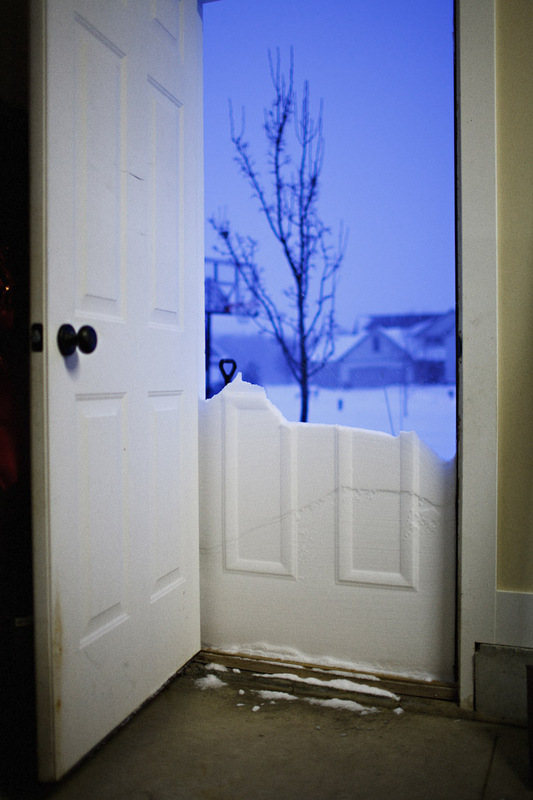 Blizzard 2011…. – Journey to my heart…. I like how happy everyone is during a blizzard. I felt as if the pause button had been hit on the pace of life. Parent’s were playing with children, children were having fun shoveling, neighbors were conversing and it was as if everyone has a sense of grace for one another. When Mayor Hartwell addressed the city he reminded us that today was a good day to shovel for your neighbor, check in on them and help one another out. Tonight my Dad got stuck at the end of my drive. Four of us were rocking his car and in no time a car stopped and a spirited woman came to assist. Within a few moments, a red pick up stops and a strong and kind guy came to our aid. He ended up running home to get some ashes and with some extra traction, digging and pushing, my Dad was able to back out. But the experience allowed me to meet two wonderful people who live on my street and in a short time we had made a connection. I had to wonder how quickly I would have stopped if I was alone, and I was touched by their quick decision to join in and assist us! Love this picture and wholeheartedly agree!